Joshua Elijah Griffin, IV is on his last chance. A stint in rehab and a transfer to a new school has scared him into putting his life on track. He’s determined to live up to his family’s expectations, but on the first day of class, Josh meets a girl. He knows his father won’t approve, but in Carrington, he sees a kindred spirit. 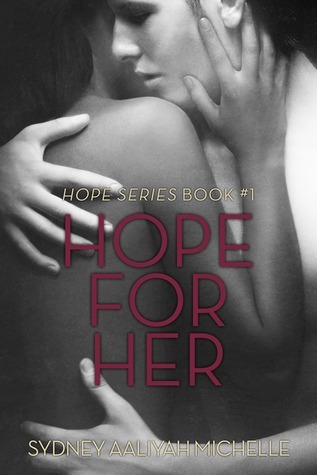 He’s whttp:/https://itunes.apple.com/us/book/hope-for-her/id912061468?mt=11&uo=4&at=10lK7Villing to give up everything to be with her. Carrington Olivia Butler is ready to shine. Always in the background, she goes away to college to break out of her shell. Carrington wants to feel special. Josh’s attention is exactly what she craves, but their intense and sometimes volatile relationship is more than she bargained for. To celebrate the launch of Soul Cutter by Lexa Cain and The Ghosts of Aquinnah by Julie Flanders, they created this cool bloghop. If you’ve spent any time with me, my Facebook account, my Twitter account and especially my blog, you know I love to travel. This bloghop is right up my alley. The hard part is picking just one. My Travel Bucket List is about 32 destinations deep and I have been blessed to have knock 15 places off the list. It takes a lot of effort to visit Tibet; 16-24 hour plane rides, passport, visa, permit, guides, donkey drawn carts, etc. It’s hot and cold; the temperature in the summer ranges from freezing to 100 degrees Fahrenheit. Mt. Everest Base Came, I could tell people I climb to Mt. Everest (the to is silent). Tibetan monastery – How amazing does this place look? There are 20+ of them in this region. Tibetan people – I met a really cool couple from Tibet while I was in China and they wanted to take me back home with them. They actually travel to their village by donkey drawn carriage. No roads about 200 miles north of Lhasa. Sounds like an adventure. I don’t typically reblog, but this post changed my mind about self publishing. Thanks Kristen Lamb for sharing your sage (knowledge). Tara & Heather created this blogfest to celebrate some milestone in the publishing process of their upcoming releases, Pop Travel and Maguire’s Corner. He held my hand tight as he pulled me closer. Our faces were inches away from each other. He hesitated and I panicked. I turned and started to walk away, but he still have a strong grip on my hand. When I turned back to tell him to let go, I didn’t have a chance to get the words out. His lips were on mine, no hesitation this time. My surprise prevented me from kissing him back at first. He started to pull away and I panicked again, but this time from fear he would stop. I kissed him back. I was keenly away of the the way his lips tasted, all smooth and wet and with a hint of peppermint. The power of suggestion had been working over time in my imagination and I laughed. This time he succeeded in pull away. He smiled and kissed me again, letting go of my hand to wrap his arms around my waist. There is nothing more thrilling than a first kiss. What do you find thrilling? Click on the badge to visit the other Thrill of it All! Blogfest participants. Agent Suzie Townsend invites you to join her in a discussion on New Adult from June 24th to July 16th on her blog, Confessions. I am currently querying a New Adult Romance and writing another. The characters I write never seem to quite fit in full on adult, now they have a spot in the literary world. Miami Heat wins the 2013 NBA Championship. Not a fan of either team in the game, but Game 6 reminded why basketball can be an exciting game. It was awesome. Game 7 had to end the way it did. Plus, Tim Duncan and 5 rings doesn’t sound right. It was a movie full weekend. 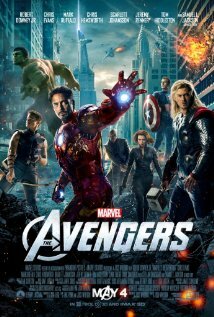 One awesome, one amazing, one great, one inspiring and one failed to meet expectations. Which movie was what? 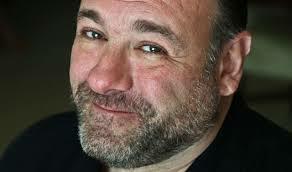 James Gandolfini died last week at the age of 51. I loved The Sopranos, but I’ve still only seen season 3-6. I was late to the party. People have said that Tony Soprano ruined him for other rolls, but I disagree. I think it was the complexity of Tony Soprano and the way Mr. Gandolfini played him made other roles he played compelling because they were simple. See The Mexican (compassion and a little funny) and True Romance (pure violence). Also, Gandolfini is such a great name. Check out The Many Faces of James Gandolfini at My Film Views. What was your favorite James Gandolfini Role? Do you write your chapters to long?Are you stuck in the old days? by Caleb Pirtle III – It’s the James Patterson formula. Each chapter is a miniature book. Do Romance Novels set Unrealistic Expectations? by Melissa Cutler on Tameri Etherton’s Blog – I think if guys read romance, they’d fair so much better. The instructions are right there, they just need to use them. Over Thinking Your First Draft by Sarah Foster on The Faux Fountain Pen – If you understand the purpose of the first draft, it should be the most fun step in the process. Camilla Kyndesan gave me this really cool award. The badge is really cool and I’m honored, Thanks Camilla. Final week of #JuNoWriMo. Good luck everyone and have a great week everyone.